See the shells? I never thought that I would hate seeing sea shells. I love the shore…I love the ocean, but these shells…these shells I would rather not see. Do you see these shells? 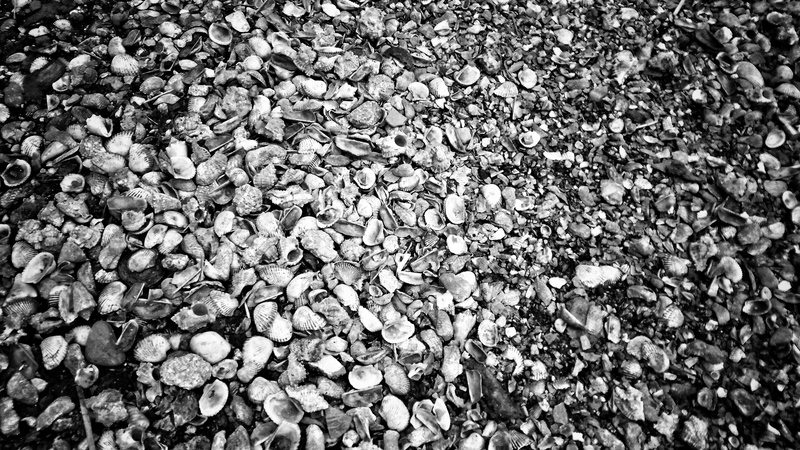 These jagged, dirty, sad, colorless shells serve as the sidewalk…the road beneath the bare feet of those beautiful children who run across these shells, which occasionally are submerged in sewage…see the shells?…these shells supporting a young boy whose silent stare and precious smile invade my heart…shattering my bent to complain about the smallest inconveniences in my comfortable smart phone filled life…see these shells? I will never again see shells without remembering to pray for the precious men, women and children of Cite Soleil in Haiti. I am eager to return to this city, these children…I don’t want to see these shells, but I will return for all those unseen children….those unseen families…. I can see the shells, I can also imagine the suffer you are describing , but most of all I am aware of the generosity and selflessness with which you serve your fellows. There’s a dark side to almost everything. True…in a future post I will write about all the “light” that we saw in Haiti as well. Hope you are doing well. Thank you very much AJ. Have a wonderful weekend.